The second-generation Apple Watch, expected to arrive by this fall, may boast integrated cellular data, as well as a faster next-gen custom chip, a new report claims. Citing unnamed sources, The Wall Street Journal claims that Apple is working on both features for its next-generation wearable device. Apple, unsurprisingly, declined to comment, but the inclusion of an LTE radio would be a logical addition to the Apple Watch, which in its current iteration must be tethered to an iPhone for data on the go. As for an "S2" processor, the S1 in the first-generation Apple Watch is a low-power custom chip designed to allow for a full day of usage. Initially, even the loading of apps was handled by the iPhone and wirelessly transferred to the Watch, but Apple began allowing native apps with the launch of watchOS 2 last fall. Both moves signal Apple is looking to build a new Watch that can be used on its own on the go, without the need for an iPhone or a known Wi-Fi network. Cellular connectivity is especially important for fitness functions, as an LTE radio, in combination with a GPS receiver, could allow for fast and accurate pace and distance measurements when exercising. The Journal also claimed that Apple sold twice as many of the Watch in its first 12 months than the company sold of the first-generation iPhone, which launched in 2007. The source of that data, however, seems to just be analyst estimates. Apple has not officially disclosed Apple Watch sales. Apple's biggest success out of the gate remains the iPad, which sold 19.5 million units in its first year. The "Apple Watch 2" is expected to look largely the same as the current model, with Apple instead opting to focus on internal hardware improvements. Some rumors have claimed the second-generation model will feature a larger battery and a display with improved outdoor visibility. 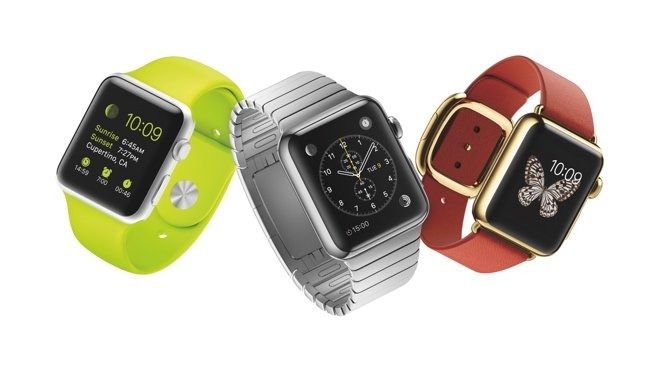 While a new Apple Watch is expected this year, the launch timing remains unclear. Incorrect predictions had pegged it for a March launch, while others forecast a June launch that might coincide with Apple's annual Worldwide Developers Conference. It's also possible the company could showcase an "Apple Watch 2" alongside the anticipated "iPhone 7," which is expected to be unveiled this September.